Credit card users in India can enjoy several exciting offers and deals provided by the card issuers on various lifestyle categories. Some common categories on which the banks offer various deals include - Lifestyle, shopping, dining, travel, entertainment, online shopping, health and wellness, etc. Banks also offer deals for making purchases and then converting them into monthly EMIs for credit card users. 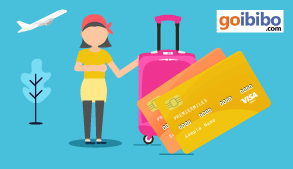 Credit card users can get cash back, discounts, free tickets, one-on-one deals, vouchers and gift cards, rewards points when they avail any type of credit card offer from a bank or an e-commerce merchant. 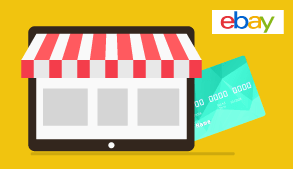 Let’s check the most updated offers provided by leading credit card issuers in India. 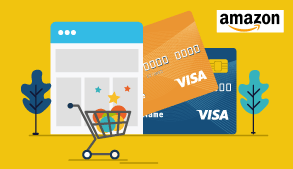 To delight shopaholics, credit card issuers are providing interesting deals and offers on both online and in-store shopping. Many retailers have partnered with credit card companies to provide exclusive discounts on various credit cards. Mentioned below are the best shopping deals offered by top banks in the country. Who doesn’t love dining out? Especially, most of the working group prefer to dine out during the weekends. To make their dining experience more enjoyable, credit card companies offer exclusive dining privileges like discounts, complimentary drinks, cash back and other such offers. Below you can find the best dining offers provided by top banks. You can click on the respective bank to know more offers in the category. Exploring the globe without any boundaries has become a typical holiday plan for most of us. 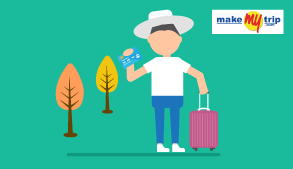 Well, why not make our holiday trips budget-friendly by choosing a travel credit card. Yes, travel is one of the popular categories on which you can find interesting credit card offers. 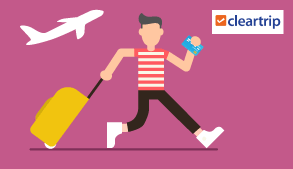 From instant discount on domestic and international flight bookings to cashback on international dining experience, you can enjoy interesting deals throughout your journey. Top travel offers by the best banks in the country are provided below. For movie buffs, having a right credit card would help save on their entertainment spends. 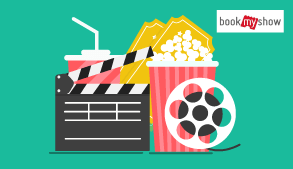 BookMyShow, which has partnered with major credit card players in the market, is the prime player offering movie ticket offers on all major credit cards. From exciting weekend ticket offers to complimentary ticket offers on weekdays, you can enjoy a free movie every week. Explore the best movie ticket offers on some top credit cards in India. From working men to home makers, everyone needs groceries. They have become an essential part of our everyday routine. At least once a month, we refill our kitchens with the required raw material thus spend a decent share of our income on them. 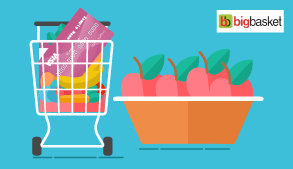 Credit card issuers partnered with some major grocery suppliers like Big Basket, Amazon Pantry, etc., to provide big savings to their card users. Listed below are a few grocery offers provided by some top banks in the country. Health is an important component of our life. Health and wellness related spends form major portion of our monthly expenditure. Having a right credit card not only provides the best health and wellness deals but also help you save a lot on such spends. Explore some of the top health-related offers provided by some major credit card providers in India. 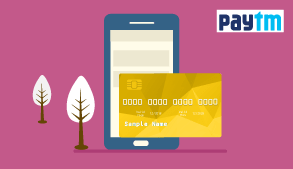 Keep visiting the page for the most up-to-date credit cards offers. For sure we will surprise you with the best deals! Exciting Credit Card Deals On The Vivo Vivo V15? The much-awaited Vivo V15 has been finally launched in the country and the smartphone will be available for pre-order through Amazon India website, Flipkart, Vivo website, as well as offline stores starting 25th March. One of the major attractions of the V15 is the pop-up selfie camera that helps it to achieve a desirable screen-to-body ratio of over 90%. To attract customers, Vivo is offering a one-time screen replacement of the phone within six months of its purchase. Other offers include no-cost EMI of up to 15 months and an exchange bonus of up to Rs.3,000. For customers who purchase the smartphone on no-cost EMI using a?Bajaj FinServ card, there’s an exchange value of up?to Rs.10,000. For users of SBI credit and debit cards, there’s a cashback of 5% on EMI transactions. For Reliance Jio subscribers, there are benefits worth Rs.10,000 along with free data of up to 3.3 TB. In terms of specifications, the V15 sports a full-HD+ Ultra FullView display of 6.53-inch that has an aspect ratio of 19.5:9. The smartphone is available in 3 colours - Royal Blue, Black, and Red. Amazon is offering great discounts on select smartphone variants during its Great Amazon Holi Sale 2019. 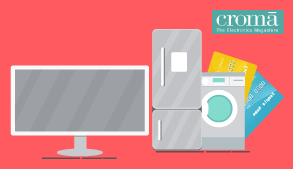 Some common offer available during the sale period include no cost EMI on ICICI credit cards and Amazon Pay transactions worth above Rs.3,000 and 5% instant discount on Axis Bank credit cards. Mentioned here are a few smartphones on offer during the sale. Samsung Galaxy M20 is priced at Rs.10,990 and is available for purchase through various payment options. The phone features 3GB RAM and 32GB ROM and has 13 mega pixel dual lens primary camera. Powered by an Exynos 7904 octa core processor, the phone comes with a non-removable Li-Ion 5000 mAh battery. Touted as a smartphone with the best selfie camera, Realme’s U1 is available on Amazon for Rs.10,999. The 3GB + 32GB storage phone features AI 25MP selfie camera with Sony flagship IMX 576sensor, 13MP+2MP AI dual rear camera. The newly launched smartphone from Vivo, the Vivo V15 Pro, is available at the best price of Rs.28,990 with EMIs starting from as low as Rs.1,365. The 6GB + 128GB phone has a triple lens primary camera and is powered by Qualcomm Snapdragon 675 octa core processor and a non-removable Li-Ion 3700mAh battery. Hurry up and grab the best phones at best prices now!